Last week, the British Engines Group hosted their Annual Awards Evening. The evening celebrates those who have worked within the company for 25 years, as well as the high achievers from the British Engines Apprenticeship+ Scheme who are working hard to develop their engineering talent. The HT Lamb Award is presented each year to the apprentice who has shown to be a dedicated individual, and who has gone above and beyond to prove themselves as capable engineers. Named after the company’s founder, and the current British Engines Chairman’s Great Grandad, the award celebrates the success of our future engineers. 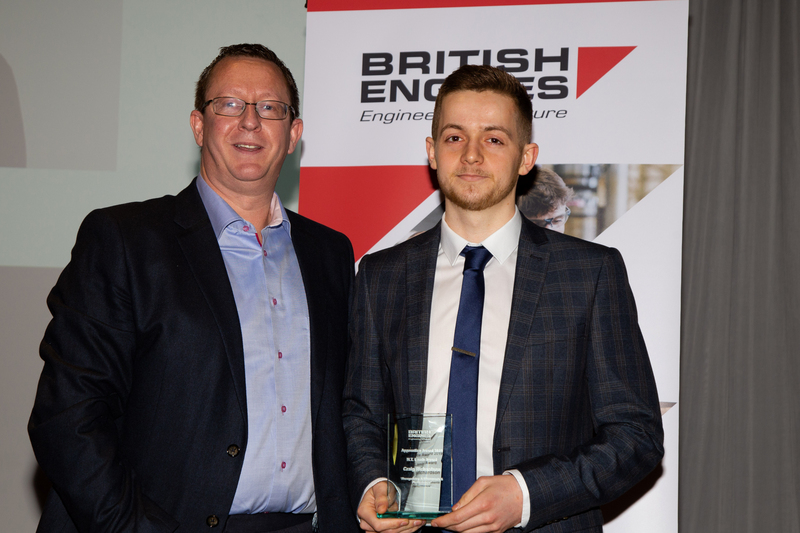 This year’s winner, fourth-year apprentice Craig Richardson, won the award for his consistent commitment and dedication to his work at BEL Valves, his enthusiasm to go the extra mile and eagerness to help whoever and whenever he can. An asset to the future of BEL Valves, we wish you all the best for the future! To take a look at how to apply for the British Engines Apprenticeship+ Scheme starting in Autumn 2019, or browse current vacancies visit the British Engines website.